A Dallas, Texas jury has awarded iLife $10 million after it found that Nintendo of America had infringed on the motion-sensing accelerometer tech of iLife, which the company had used in its remote controllers for Wii. The jury started deliberating in this lawsuit August 30 near the end of the work day and returned its verdict early Thursday morning August 31 at approximately 11:00 a.m. the verdict was announced. The jury found that some Wii and WII U gaming systems and the software bundles had infringed on a patent owned by iLife Technologies. The infringement was related to detecting if an individual has fallen, said Nintendo in a prepared statement it provided to the media. The jury awarded $10 million to iLife for damages. Nintendo’s attorneys said the company did not agree with the jury’s verdict, as Nintendo has not infringed on the patent of iLife and the patent itself was invalid. Nintendo is looking forward to raising those two issues with the court and will file an appeal with a court of appeals, added the company’s attorneys. The attorneys representing iLife said through a prepared statement that was sent to the media, that the verdict on Thursday was the result of their commitment to excellence as well as an overall great team effort. The award came almost four years after the law firm and iLife Technologies had filed a patent infringement lawsuit of $144 million against Nintendo. iLife Technologies uses the technology its designs to help monitor infants in the prevention of sudden infant death syndrome, as well as the elderly to prevent falls. 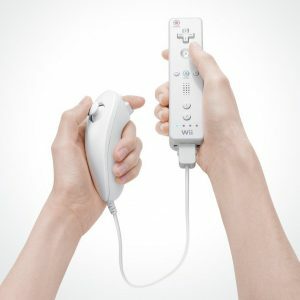 However, iLife in its lawsuit argued that the patented technology it has could be used for a number of other applications and was being used by game maker and console designer Nintendo in the company’s Wii remote controls that were motion sensing. Although iLife initially was seeking a royalty payment equal to $4 for every unit tied to sales of Wii systems that at the time were 36 million for the six years prior to the suit being filed, Nintendo argued the patent that iLife had filed was not valid because the patent’s written description had not been properly completed.